Upgrading your business? Then you’ll need to upgrade your IT with it. Seven in ten IT managers say it’s impossible to keep up with technology. But in the modern business arena, falling short on IT isn’t an option. That’s why many businesses are on the hunt for ways to overcome the IT barrier. Enter the virtual IT director. With virtual services, companies can build their future at a fraction of the cost. If you’re not convinced, let’s take a look at the advantages of virtual services. IT teams face a classic struggle: juggling the day job while making changes for the future. Too often, daily concerns get in the way of long-term IT goals. The IT team needs to keep the business up and running, and immediate concerns take time away from development. Combine that with a lack of support from the budget-holders, and technology soon falls into a rut. A virtual IT director can break down these barriers. From an external position, they can take stock of your companies systems and come up with a development and deployment strategy that will move you forward. They’re also an effective way to find some extra cash for a project. A virtual director can help make the unbiased business case for key IT investments in a way that may carry more weight coming from an outside consultant. You really do get what you pay for when it comes to hiring in IT. So IT costs can shoot through the roof as a company’s needs grow. With a virtual IT director, you’re not hiring for the long term. Instead of wages, bonuses, and continued professional development, you’re paying a flat fee for their expertise. It also means you’re less likely to lose a key IT player halfway through a major project. IT expertise is always in demand. Ending up with a black boxed system because its superuser vanished can set a business back years. With virtual services, you’re looking at an end-to-end project headed up by an experienced consultant familiar with handling complicated projects. Ever noticed how new staff tend to create exciting ideas? They’re seeing systems for the first time, they’re still invested, and they want to help. We’ve also just described a virtual IT director. The honeymoon innovation period for new staff doesn’t last long. Once it passes, they tend to make do with what they have or are too focused on their workload to think outside the box. A virtual IT director knows that looking at the system from the outside is part of their job. They’ll look forward to talking over new ideas and understanding the needs of your business. And given it’s what you pay them for, they’ll want to see the idea through to conclusion, too. If you feel your IT innovation is stagnating, a virtual director could turn it around. They’ll take a look at your systems from top to bottom, and recommend a plan not bogged down by preconceptions. They’ll also be able to offer you successful projects for previous customers. Instead of taking a chance on something new, you can deploy a strategy that’s already been tried and tested in a similar environment. Need a security overhaul? Virtual IT could help with that, too. Data security is a complicated field, but the enormous impact of poor security is easy to grasp. All you have to do is look at the headlines. Companies need to know how to protect themselves and their customers in an age of cyber attacks. Trying to source experience in such a complex field is sure to be expensive. Even if you have an internal IT team, there’s still every chance they won’t have the knowledge for the job. With virtual services, you can get a consultation and a strategy to lock up your cybersecurity without bringing a whole new team on board. A good security plan needs to be all-encompassing. Virtual IT can help you set up your security, a business continuity plan, and a crisis response all as a holistic package. Data breaches can destroy the reputation of a business, so it’s no longer a corner companies can afford to cut. Flexibility is a key component of the modern business. That’s why more businesses than ever are turning to contractors and managed service providers for answers. A virtual IT director is another great tool for the flexible business. 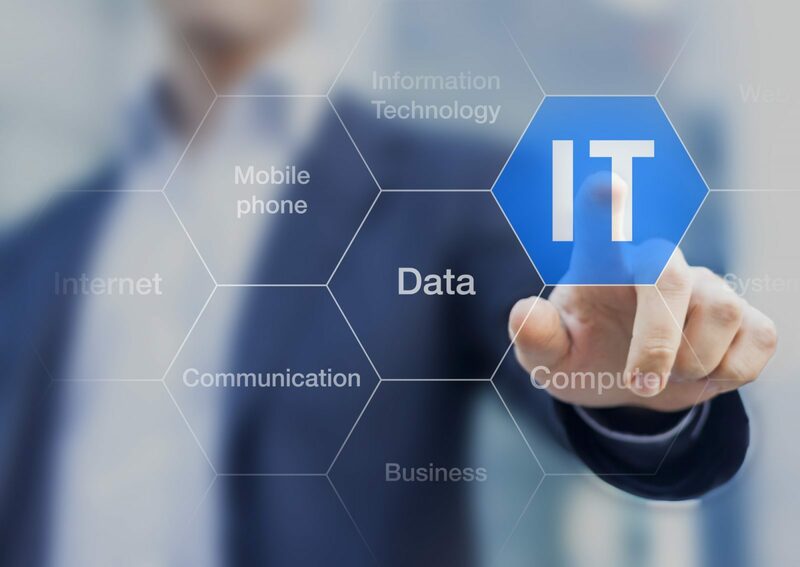 Growing a modern company inevitably means greater IT spend. But IT is expensive and its returns not always obvious. Tapping into the services of virtual IT gives you that edge only when you need it. A virtual director can help you strategize a new IT plan, and they can advise on implementation. Likewise, if your business is going through a lean period, you can cut back on your larger plans and work with the services you have. Letting staff go is often a complex process, and difficult for all involved. But you can pick up and drop virtual services as you need them. It’s the enterprise conundrum: the bigger the company, the more advantage it has. That’s bad news for anyone underneath looking to make their way up. Big businesses can afford to splash out on their IT budget. But small businesses face high costs just to gain ground on competitors. Virtual directors can help a small business achieve great results even without huge investment. They’ll make efficient use of the company’s resources for a fraction of the cost it would take to employ staff with suitable experience. That’s a real path for smaller companies who want to punch above their weight. It gives them the ability to catch up to their larger rivals, and an edge over similar-sized competitors who lack infrastructure or are overspending on IT. In 2018, the future of a business is closely tied to their IT capabilities. Working with virtual services could transform your future plans and allow your business to reach new heights. And it can do that without eating away at your budget. Want more up-to-date IT advice? Be sure to follow our blog. Or you can contact us to find out how we can help you.